What is this snake you speak of? The red snake climbs above the black line once again after Saturday night's victory. 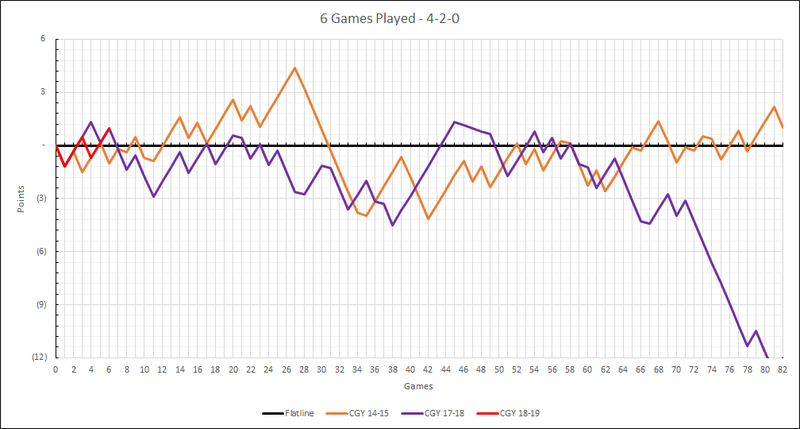 It sits 0.146 points above the black line and is tied with the orange and purple snakes. The team is made ready for the day of battle, but victory rests with the Snake. Go snek! Outdo the performance of your pitiful 17/18 brother. squiggs, why the 14/15 snake instead of the more recent 16/17 playoff snake? Not that it matters, I was just wondering if you had a reason. I would wager because that snake only got 94 points. No wonder we got swept. Man, the extra crispy version really shows how precipitous the drop at the end of last season was! Party elephant is correct. I picked last year's snake so we can see the most recent one and then I picked the last snake to finish above the black line, to give the current snake a reference snake. If you look very closely you can see the purple snake rear its ugly head in the bottom right corner, as it finished with 84 points, 12 points below the black line. Last edited by squiggs96; 10-15-2018 at 10:45 PM. 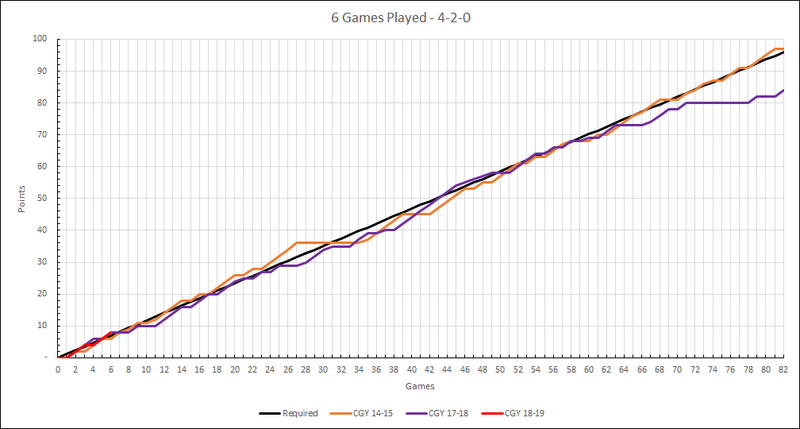 The red snake is 0.976 points above the black line, continues to be tied with the purple snake, and is 2 points above the orange snake. I'm pretty sure all of my sample sizes are statistically valid and are in no way subject to criticsm. LOL - This is so much better than the old "small sample size, but..." arguments that seem to always occur. Looking at the rest of the Western conference, it looks like only 7 teams are currently at Snek pace or greater. I like this snake. Good snake. Oooooh do the Oilers snake again for this year! If by "Oiler's snake" you mean "Soggy, limp noodle" then yes please!